Anne Kelso’s contributions to Australian science are wide-ranging and significant. As a biomedical researcher, she made a sustained original contribution through her research on the regulation of T lymphocyte effector function. She advanced the discipline of immunology more broadly as a communicator and through service to national and international professional societies. In her Directorship roles she has fostered the development and commercialisation of Australian vaccine technologies, and substantially strengthened Australia’s position in global influenza virus surveillance, research and pandemic preparedness. 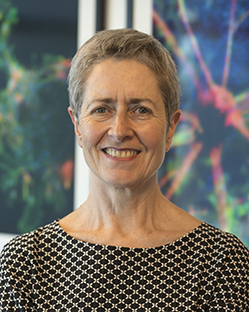 As CEO of the National Health and Medical Research Council (NHMRC) she is leading major reform of the agency's grant program.